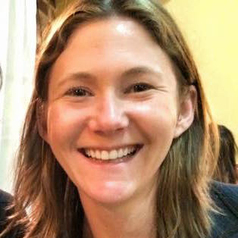 Brookes Brown will begin is an Assistant Professor and Director of the Law, Liberty, and Justice program in the Department of Philosophy and Religion. She works in Democratic theory, Public Law, Normative Philosophy, Social Norms, Moral Epistemology, Administrative Legal Theory. She received her PhD in Political Philosophy from Princeton University in January 2016, has a JD from Yale University, and a BA from Brown University. She spent 2015-17 as Research Assistant Professor in the Philosophy, Politics and Economics program at the University of North Carolina – Chapel Hill. In 2014-15 she was a DeOlazarra fellow in Political Philosophy, Law, and Policy at the University of Virginia. At the moment she focuses on civic obligation, the ways in which complex institutional analysis changes our thinking about political ethics, and methodology in political philosophy.